The puzzle pattern on this ribbon represents the complexity and mystery of Autism while the different colors and shapes represent the diversity of people and families living with Autism. Show your awareness using this awareness tote bag every day. 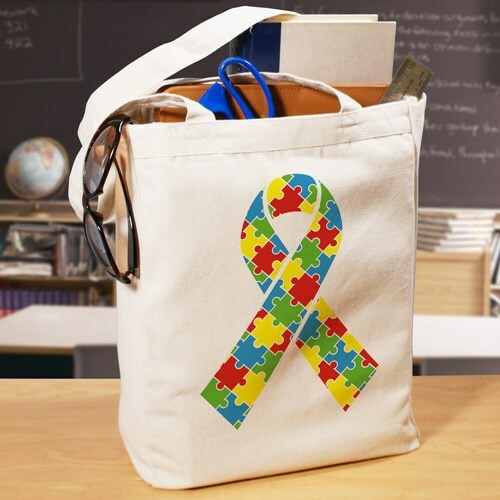 This Autism Ribbon design is available on our 100% cotton, canvas tote bag. This eco-friendly tote bag measures 16” H x 14” W. It is especially strong to hold your take-along items.